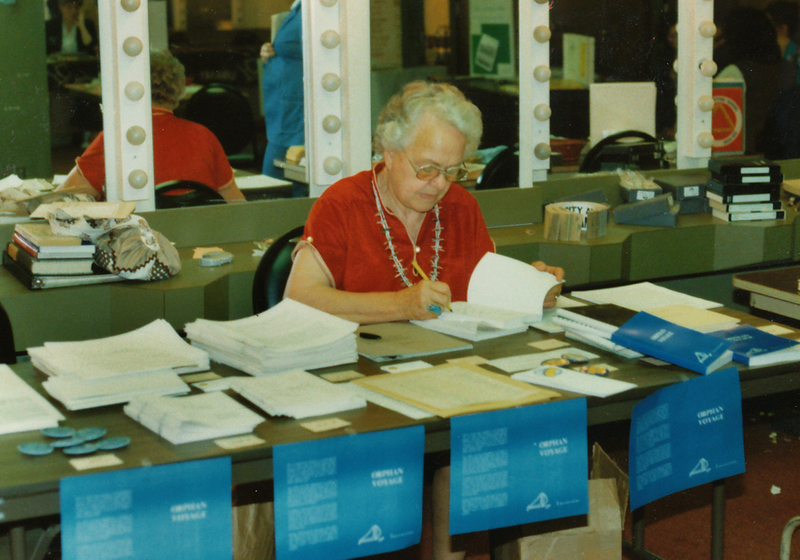 This is a photo of Jean Paton being presented by Don Humphrey and Joe Soll with a sealed “birth certificate” at the “Red Tape Ceremony” that took place at the 1989 AAC conference in New York. From left to right: Don Humphrey, the AAC’s legal adviser at the time; Nancy Horgan; Joe Soll, founder of AdoptionCrossroads; the ACC’s president Kate Burke, and, of course, Jean Paton. I am greatly indebted to Joe Soll, who identified the conference location, date, and all the folks in this photo. 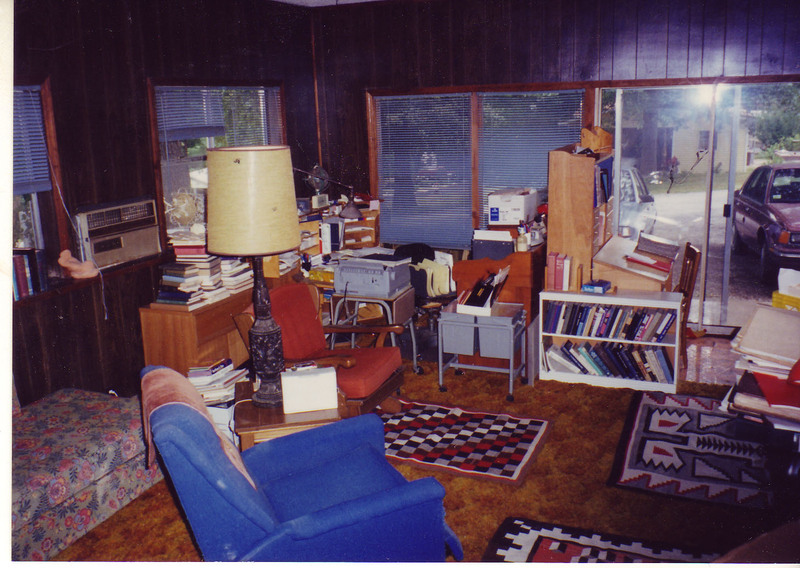 This is a photo of Jean Paton’s cramped work space in Harrison, Arkansas, where she and her trusty typewriter communicated around the world with the adoption triad. 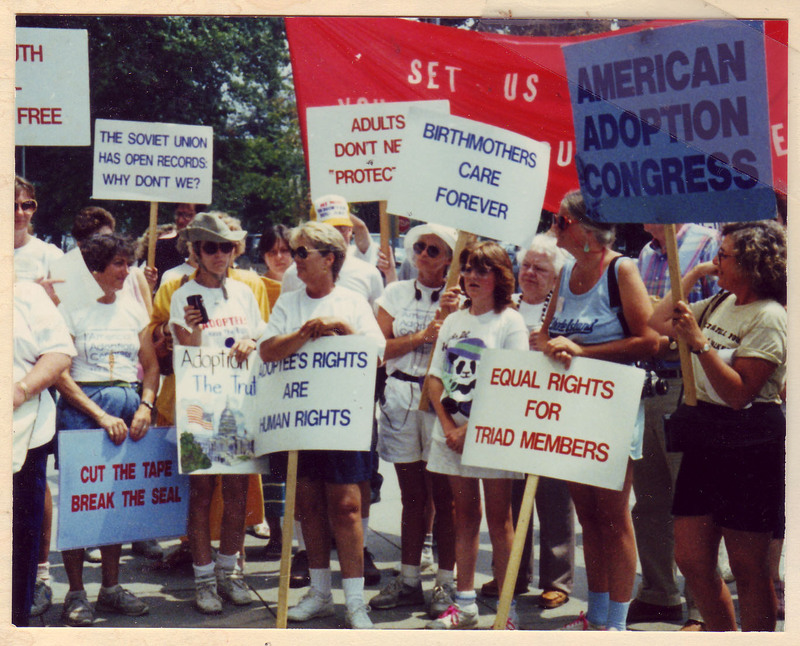 In this photo, Jean Paton is in the background at this 1989 protest by the American Adoption Congress (AAC), an organization she helped found in 1979. 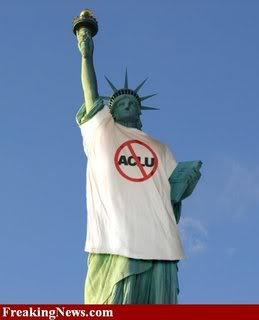 The ACC declared the first week in August of 1989 as “National Open Records Week,” which would be celebrated by a march on Washington, D.C. beginning at the Statue of Liberty in New York City during that last week of July and ending in the nation’s capital during the first week of August. The woman with the sign “Birthmothers Care Forever” is Marilyn Burson, a birth mother (deceased). The woman with the sign “Adoptee Rights Are Human Rights” is Molly Johnson, adopted adult and executor of the Jean Paton Papers. The woman with the sign “Cut the Tape Break the Seal” is Judy Taylor, birth mother. The woman behind her, with the partial sign saying “Free,” might be Joyce Barr, an adoptee from NYC. 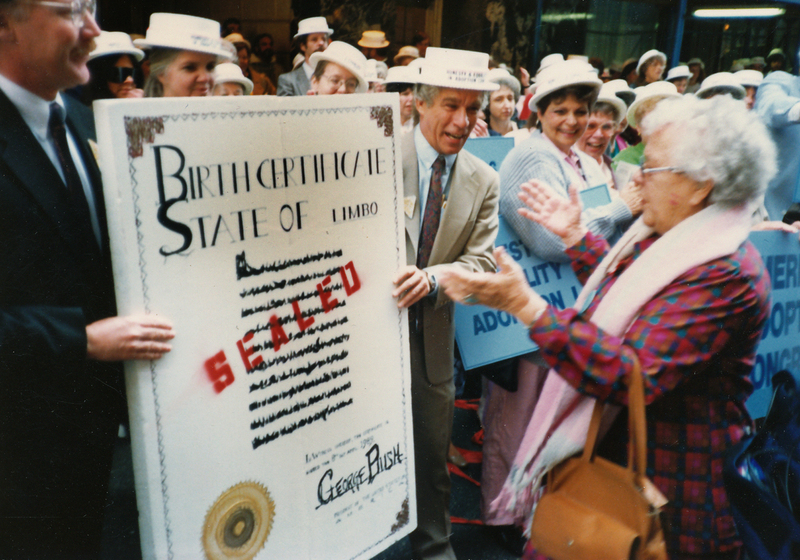 The woman holding the “American Adoption Congress” sign is Sharon Bell. And the woman holding the sign “Equal Rights for Triad Members” is Nancy Horgan. I am indebted to both Molly Johnson and Joe Soll for identifying the protest and the participants. 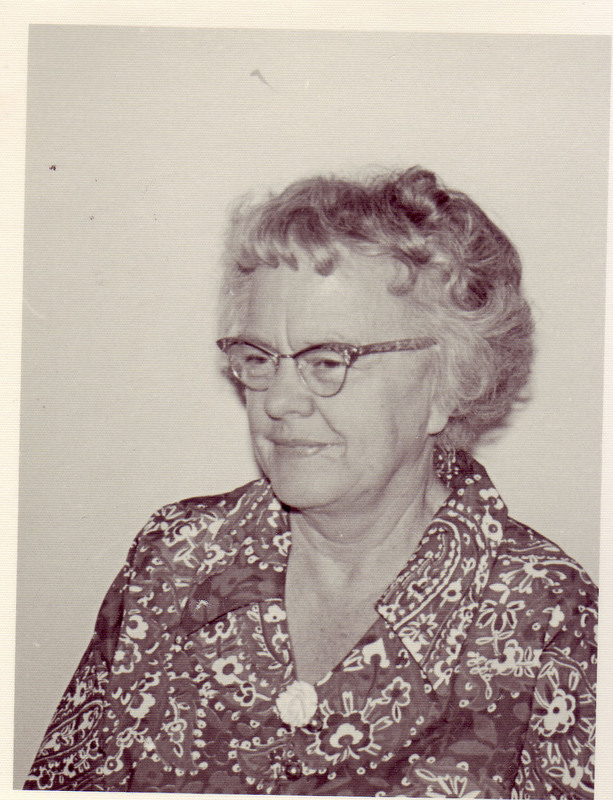 Jean thrived in her second adoptive home, which was located in Ypsilanti, Michigan, a small city of 15,000 people, thirty miles west of Detroit. The Patons were prosperous and much better off than her first adoptive family, the Deans. 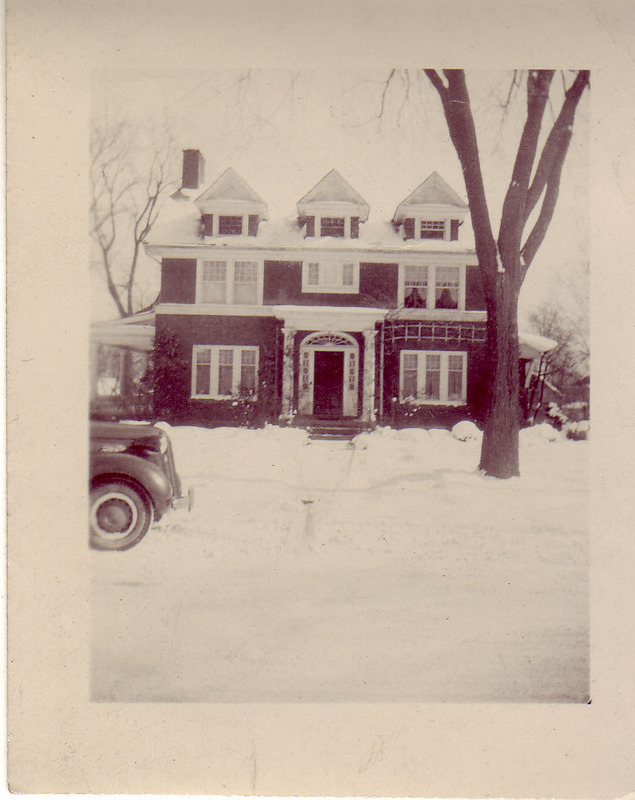 They lived in a large, imposing, three-story house, located on 122 Normal Street and had just purchased a new EMF automobile for Dr. Paton, a general practitioner, to conduct his house calls over the muddy and rutted roads in and out of Ypsilanti. For those of you who are serious history nuts, car buffs, or just plain curious: the letters “EMF” stand for the initials of the last names of Barney Everitt, Bill Metzger, and Walter Flanders, who founded the E-M-F-Company in 1908. Within three years the company was “the largest employer in Detroit and was producing more cars than any other company in the United States other than Ford.” The primary reason that the name of the car is unknown today is because the Studebaker Brothers purchased the entire company in 1910. 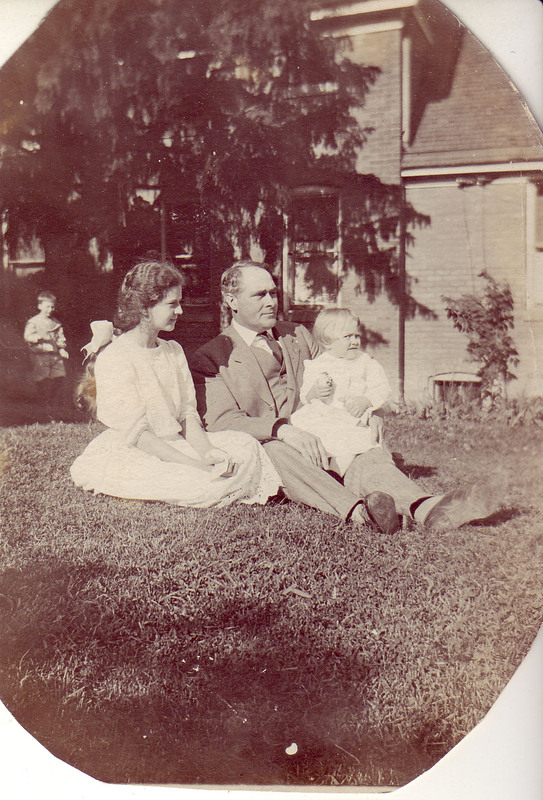 This is a photo of Jean Paton, age 2½ or 3, with her second adoptive father, Dr. Thomas Paton and her seven-year-old foster sister, Virginia. Jean was adopted twice. The first time, she was adopted on May 10, 1909, by Harry and Millie Dean, a lower-middle class couple who also lived in Detroit. The Deans renamed the baby Madeline Viola Dean. Baby Madeline lived with the Deans for only two years. At age 44, Harry Dean, a house painter, contracted cancer of the liver and died on May 6, 1911. (I have not been able to locate any photos of the Deans). The last six months that Madeline lived under the Deans’ roof were filled with illness and the smell of death. 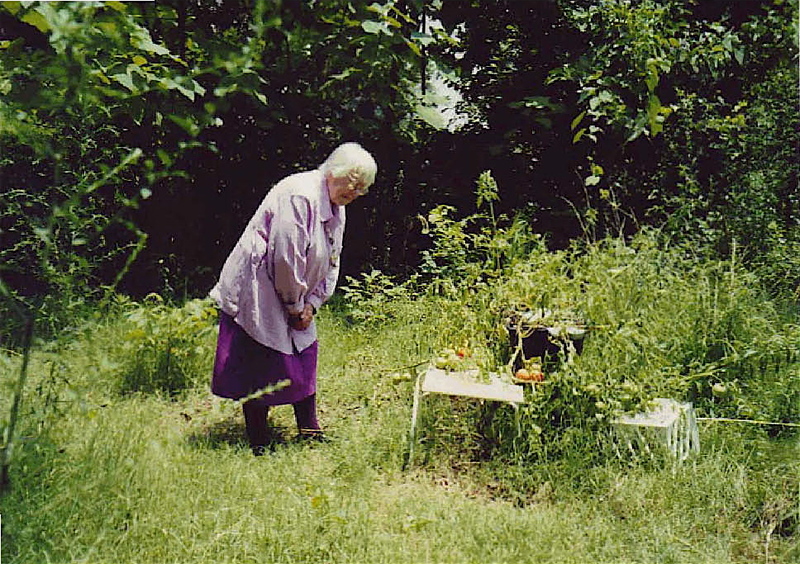 Some seventy years later, Paton believed that her first adoptive father’s death had left her with “an undying and fierce hatred of the spectacle of human suffering.” Impoverished by her husband’s death, Millie Dean was unable to support Madeline. She returned the child to the Children’s Home Society of Michigan, which again placed Madeline in a foster home. 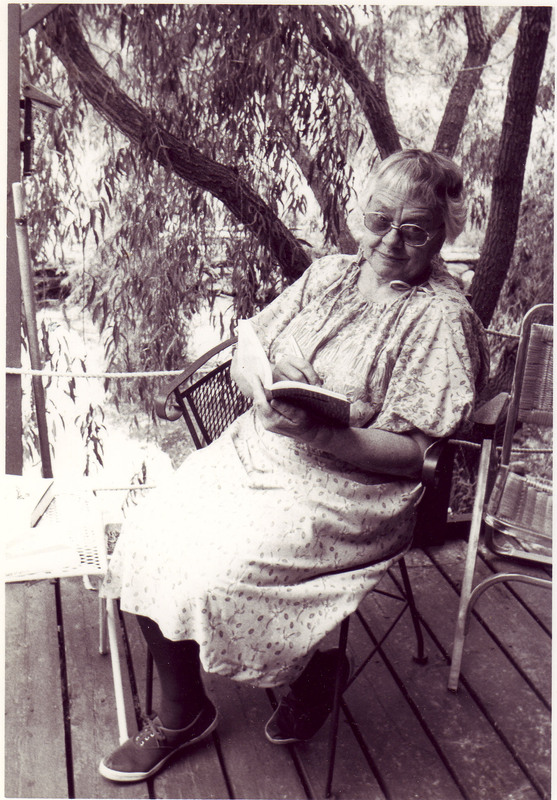 Madeline stayed in that foster home for 7½ months. Then on December 11, 1911, Dr. Thomas and Mary M. Paton of Ypsilanti, Michigan, adopted Madeline and renamed her Jean Madeline Paton.